Made this recipe last weekend on my stories and oh my goshhhhh, so freaking delicious and FAST. 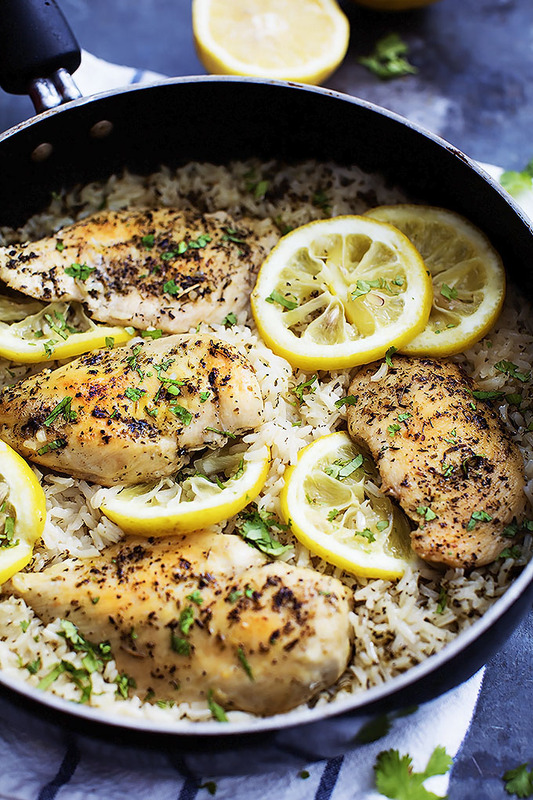 I also am obsessed with lemon and the brightness it gives to a dish. It all comes together in one pot and it’s basically a 3-step recipe. A literal no brainer. Tag me in the pics if you make it! Gonna keep this short & sweet – this salad is to die for y’all. It’s super simple and you probably have the ingredients to at least make the dressing in your kitchen right now! I love this salad too because it’s such a low-maintenance recipe – no crazy chopping skills or techniques required. It’s just a basic vinaigrette – so mixing oil and vinegar. Throw all the ingredients into a bowl & whisk…boom you’re done. Keep tasting as you mix to adjust for more salt & pepper, vinegar or oil. It just depends how you like it! Treated Myself to a milkshake and grilled cheese at Highland Park Soda Fountain and it was all that I hoped it would be and more! I wore this easy henley top ($39!) and these fun statement earrings. I’ve talked about these on IG Stories before, but they are 100% worth bringing up again here on BTD Daily. My roomie Katie makes these all the time and we are both super obsessed with them! They also are amazing for leftovers as well! You’ve GOT to try them out for yourself!